KANSAS CITY, Mo. – The Veterans of Foreign Wars of the U.S. is now accepting entries into its 2017-18 Voice of Democracy and Patriot’s Pen youth scholarship competitions. The announcement comes after students from across the globe recently took home their share of more than $3.3 million in scholarships and awards from last year’s competitions. The VFW’s Voice of Democracy and Patriot’s Pen essay competitions are dedicated to encouraging a better understanding and appreciation of America, and to help foster patriotism among today’s youth. Students are required to submit an oral or written essay in response to a question or statement on a subject which prompts them to consider how American history and democratic ideals and principles apply to their lives. This year’s Voice of Democracy theme asks high school students to describe, “American History: Our Hope for the Future.” Voice of Democracy is an audio-essay competition open to students in grades 9-12. The national winner is presented the $30,000, T.C. Selman Memorial Scholarship award. More than 46,000 high school students competed in last year’s competition. The Patriot’s Pen writing competition is open to students in grades 6-8. This year, students are asked to reflect on the statement, “America’s Gift to My Generation.” The national winner will receive a $5,000 award. More than 122,000 middle and junior high school students competed in last year’s competition. Both national awards will be presented during the 2018 VFW Legislative Conference in Washington, D.C., in March. Student participants are asked to submit their entry (along with a completed entry form) to Chapel Hill Post 9100 your local host VFW Post. Chapel Hill accepts entries from Chapel Hill and surrounding area. The deadline for student entries in both contests is October 31, 2017. We have been holding back on announcing local winners for post essay and speech contests until after the district level winners were selected. That has happened and we now can proudly announce our Chapel Hill Voice of Democracy winner. It is Miss Savannah R. Dowden of Chapel Hill. Savannah is a student of Carrboro High School. As the Chapel Hill Post 9100 winner, the post is hosting her and her family at their January 3rd meeting at the American Legion Post Home in Chapel Hill. Miss Dowden will join the post members for dinner and will present her winning oral essay on My Responsibility to America. Miss Dowden will receive a cash prize of $100 and competed in district competition in December. If you are a parent, you know the value of a scholarship. You probably searched for one just as your child was about to graduate. However, did you realize that the Veterans of Foreign Wars has two scholarship programs that can provide as much as $30,000 as a top prize? Veterans of Foreign Wars scholarships are available, but you must enter one of two national contests to have a chance to win. Local winners receive an award certificate and a small cash prize. All Chapel Hill first place winners go on to be considered in district and state competitions One district winner from each contest represents the VFW Department of North Carolina in national competition. The Voice of Democracy scholarship program is an audio-essay contest for high school students in grades 9-12. Each year Voice of Democracy provides more than $3 million in scholarships nationwide. The national first-place winner receives a $30,000 scholarship paid directly to the recipient’s American university, college or vocational/technical school. Other national scholarships range from $1,000-$16,000 and the first-place winner from each (State) VFW Department wins an all-expense-paid trip to Washington, D.C.
Patriot’s Pen is a youth-essay writing contest that gives students in grades 6-8 the opportunity to write essays expressing their views on democracy. The Patriot’s Pen program is open to students in grades 6-8 (on the Nov. 1 deadline), who are enrolled in a public, private or parochial school or home study program in the United States and its territories. Annually, more than 100,000 students from grades 6-8 (nationwide) enter. One first-place winner from each state competes to win one of 46 national awards totaling $46,000. The national first-place winner wins $5,000 and an all-expense-paid trip to Washington, D.C., in March. Students draft a 300-400 word essay, expressing their views based on an — always patriotic — annual theme. The deadline for submissions for the 2015-2016 program is November 1, 2015. Download the entry form for 2015-2016 here. Both programs are open to private and home-school students. Contest submissions are due to the Chapel Hill VFW Post no later than November 1, 2015. Contact the post at 919-741-5183 for assistance. Visitwww.vfw.org/Youth/ for full contest details and application forms. Chapel Hill Post 9100 is very proud to announce local winners of VFW contests for 2014-2015. This is for Teacher of the Year, Patriot’s Pen, and Voice of Democracy. We thank the many students who entered local competition and their teachers for their support of VFW oral and essay contests. To learn more about each program and last year’s winners, click on the highlighted category in the story above. Winners at the district level go on to compete in statewide competition and the possibly of representing our Department of North Carolina in national competition. Veterans of Foreign Wars scholarships are available, but you must enter one of two national contests to have a chance to win. Our post is now accepting entries for Patriot’s Pen and Voice of Democracy. Miss Leanna Long of Chapel Hill won the post’s annual Voice of Democracy Competition this year and represented the post in district competition. Miss Long is a student at East Chapel Hill High School and is also a member of the Chapel Hill High School Marching Band. Miss Long is no stranger to Veterans of Foreign Wars competition, as she was the First Place winner for Patriot’s Pen in 2011-12. She went on to win district recognition and moved on to state competition where she won Second Place. Chapel Hill’s Charles Kuralt won this prestigious award as a youth. 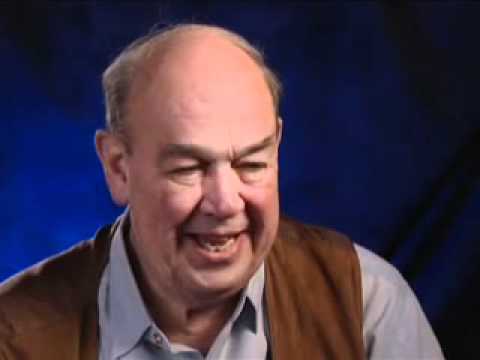 Learn more and hear Charles Kuralt talk about his winning essay.